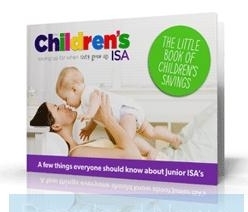 So you’ve set up your child’s Junior ISA, or you’re planning to. Now what about managing it? Managing a Junior ISA, just like the adult equivalent, does not need to be complicated but there are some important basic rules you’ll need to follow to ensure that you get the most out of it and provide the best platform for your child’s future. The real key is to understand before choosing a Junior ISA what its features are. If the adult version is anything to go by, most investors in Junior ISAs will be taken in by a great looking headline interest rate. The rate of interest is important obviously, but how long will it last? Are there any hidden fees? Will you be free to transfer the funds to a better product at will and will there be any costs associated with it? These are questions you’ll need to know the answers to so that you can effectively manage a Junior ISA. A Junior ISA is a long term investment and you shouldn’t rush in setting it up. Choose the wrong product now and you’ll find it difficult to manage it in future. Look beyond the headline interest rate and at the features of the account. Pay special attention to how easy it will be to transfer to a new product when the introductory rate expires. Most banks will offer a really impressive looking introductory interest rate but this won’t last for long. When it expires you will usually need to move your money to another provider in order to get the most from it. You cannot withdraw money from a Junior ISA as it is locked until the child reaches eighteen so instead you need to ask your current provider to transfer it. This may involve paying a transfer fee and you also need to check whether you need to give any notice period before transferring funds. When it comes to cash ISAs at least, it is estimated that the average rate of interest paid is just 0.41%. This is quite shocking when you look at the advertised rates and see that anything from 2% to 5% seems to be available. It happens because people are not monitoring their returns. Once the introductory rate on an ISA expires the interest paid can drop to as low as 0.05%. This is why it is vital to monitor the rate of any Junior ISA you open and to know when the introductory rate expires. It takes around a month to transfer from one provider to another so as you are coming up to the final month search for another provider. At the start of the final month of the bonus rate make a transfer request. This way you will not lose out by having money languish in unproductive accounts. Investment ISAs have the potential to produce higher yields than cash ISAs, though they also carry greater risks. As well as the risk that you may lose some or even all of your initial capital investment, there are a few other things which tend to put people off investment ISAs. First, there is usually no instant access to funds should you need them in an emergency. Second, you will only make a profit if you invest long term and third, you cannot transfer funds from an investment ISA to a cash ISA. Since you cannot withdraw funds from any Junior ISA anyway this is not an issue. Neither is the long term nature of an investment ISA provided you start investing from birth, though as your child gets closer to eighteen you might want to start concentrating on cash ISAs. One of the major differences between an adult ISA and a Junior ISA is the fact that funds can be transferred from an investment ISA to a cash ISA, so that if you are worried the investments are performing badly you can get your child’s money out without losing its tax free status.